Running in Balboa Park is a runner's dream! Perfect weather combined with grass, dirt trails, hills, make it a perfect place to run! You can meet up with many groups to run around the park! There is plenty of parking on the west side along Sixth Ave., or in front of the Hall of Champions Sports Museum off of Park Blvd. and Presidents Way, or on the east side on Park Blvd. the Zoo, and Spanish Village. 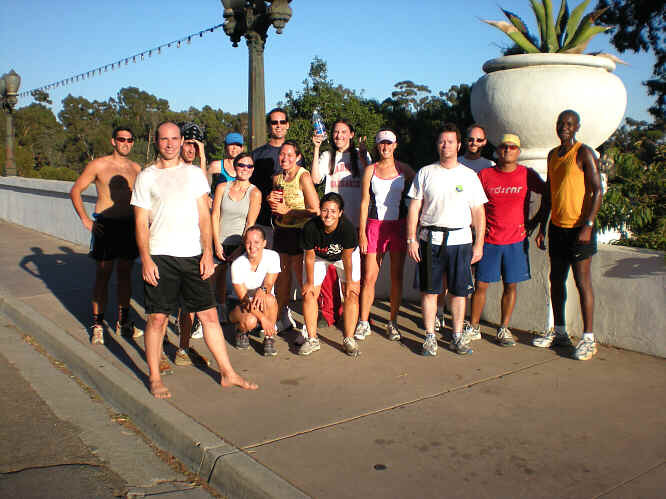 Two of the more popular places for groups to meet for a run in Balboa Park are at Sixth & Laurel at the statue of Kate Sessions, and the front of the San Diego Hall of Champions on the Pan American Plaza. Also, to the east of the park are Florida Canyon, and Morley Field, where there are acres of trails, dirth paths and grass to run on!